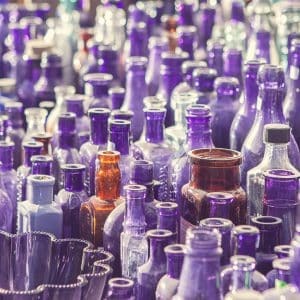 Home › Shopping › 7 Online Flea Markets To Get Deals! 7 Online Flea Markets To Get Deals! Visiting flea markets is a fun, cheap way to get the things you need. You’re already familiar with offline markets but where do you go to find the best online flea markets? Digital flea markets are available for people who prefer to shop from the comfort of their own home. They allow customers to browse listings, visit several vendors, and get items they need without spending a lot of money, and all without leaving the house! 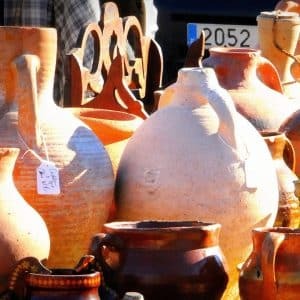 Some online flea markets allow you to haggle, too, just like at physical flea markets, so that you can negotiate an even lower price on the items you most want. If you’re new to the world of online flea markets, you’ll want to check out some of the ones we’ve listed below. 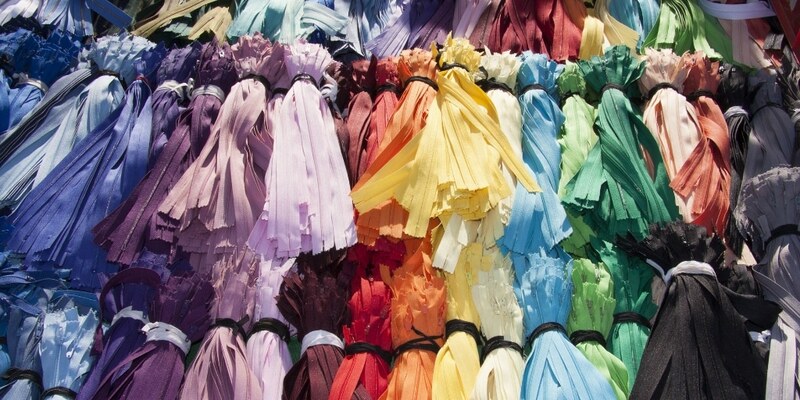 Etsy is best-known as a marketplace for handcrafted, one-of-a-kind items. You can find pretty much anything you want here, as long as someone has thought of making it themselves! This online marketplace is popular among jewelry makers and candle makers; people who make these items for a living often sell them using this platform. Etsy isn’t just about craft items, though. If you’re into anything vintage, this marketplace may be for you. Some vendors on Etsy sell vintage games as well as clothing from the 1970s or earlier. If you collect clothing, games, or music from the past, you’ll want to stop here first. vFlea’s goal is to give users a similar experience to walking through a physical flea market. Users can browse through the items offered by different vendors and decide on the spot what they want to buy. Items are of varying quality and interest, though you can search by category to narrow down what you’re looking at. Haggling works the same as it does in a real-world flea market. You make an offer and the vendor responds with a counter-offer until you reach a mutually agreeable price. Then you pay for your item and everyone leaves happy. The seller has final say over any offer you make so you’ll have to get them to agree to your offer if you want to haggle. vFlea also has a barter feature. If you have items you want to get rid of, you can trade them with vendors for the new items you want. As with haggling, both sides have to agree to the barter, but if you can make this kind of deal, you can save yourself money and trade items that are no longer of use to you for things you need and want. Fleabay offers a wide variety of items for sale – everything from used furniture to community events! The site works similarly to classified ad sites such as Craigslist in that vendors post ads announcing items for sale and buyers respond to those ads in order to purchase the item. If you find something you like, you fill out a contact form to arrange for the sale. This method is often slower than other platforms offer, but if you want an item that you can’t find anywhere else, Fleabay might be the way to go. There are very few restrictions on what you can buy or sell at this site, though you can’t sell human body parts, drugs, or anything that infringes on copyright or other laws. Some items, such as used airbags, are considered questionable and Fleabay will evaluate them on a case-by-case basis before allowing them to be posted for sale. Fleatique is a vintage online flea market that offers a variety of items at cheap prices. You can search through item listings to find whatever items you are looking for, and Fleatique also has a garage sale section you can browse if you are looking for items that cost a dollar or less. 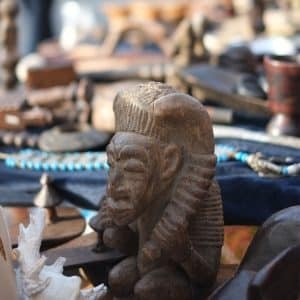 Like most online flea markets, Fleatique offers unique items that you can’t find anywhere else. The platform also includes a personal shopper feature, which allows you to put in keywords so that you can search for specific items. The personal shopper will scan new uploads daily and email you results so that you can get online and buy the item you’re looking for as soon as it comes in. DaWanda (now Etsy Germany) is the ultimate flea market site for DIY project fans. Like Etsy, it offers a wide range of handmade items for sale, but it doesn’t stop there. DaWanda also offers plenty of online guides for completing various DIY projects, including a bunch of recipes if your favorite DIY craft is cooking. DaWanda also offers yarn and other materials for sale that you’ll need to complete craft and other DIY projects. 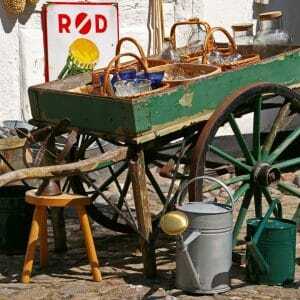 Bonanza is one of the largest online flea markets around! This site offers a ton of items for sale in a number of different categories. You can browse by category or search for specific items using the toolbar. Bonanza also offers lots of tools to help you refine your search. In addition to physical items, Bonanza offers a marketplace to sell digital downloads. You can purchase digital artwork, designs and patterns for your own embroidery projects, instruction manuals and other ebooks, and a range of other digital items for just a few dollars each. Bonanza also features a catch-all “everything else” category that you’ll want to visit if you’re into metaphysics or collect unusual items. The everything else category has a little bit of everything, as implied by the name. Whether you’re looking for vintage games, crystals and other metaphysical items, or gadgets that went out of style years ago, you’ll find it here. A subset of the “everything else” category is “weird stuff”. This is the place to go for novelty items such as earrings made out of bones, practical joke items like stinky sprays, and strange gadgets. Ebay is one of the first online flea markets and it’s still going strong today. Ebay has always been known primarily as an auction site, but there’s a lot more to it than that. Ebay auctions require buyers to place bids on items. The seller usually sets a minimum acceptable price as an opening bid and then bidders offer more than that price. You receive notifications in your email or on your phone if someone outbids you on an item you want so that you can make a new bid if you want. When the auction closes, the highest bidder wins the item and pays for it. Ebay also offers a Buy it Now! option on some items. Buy it Now works more like a traditional flea market in that if you are willing to pay that price and have the money to pay it, you can get the item without going through the auction process. This is especially useful if you come across a deal on a popular item that you don’t want to miss out on. Regardless of which method you use to buy, you will have the opportunity to rate the seller. The platform allows customer ratings to help other buyers know which vendors are trustworthy and which are not. Sellers can also rate buyers so that other sellers know if a buyer backs out of deals or doesn’t pay for items as agreed on.